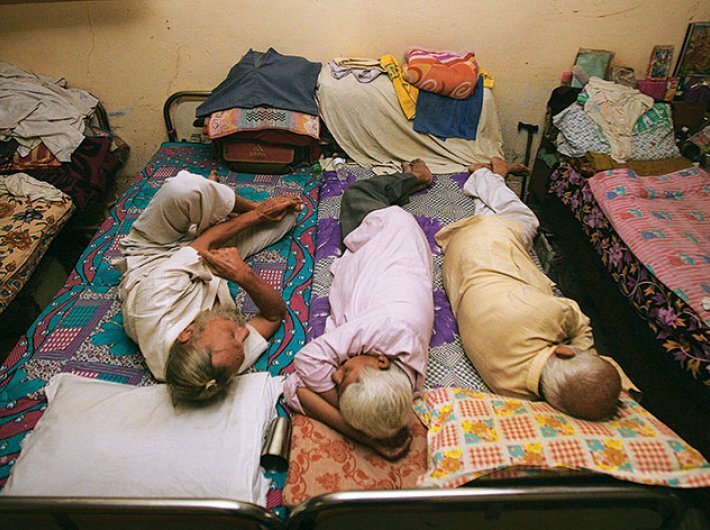 Nearly 1 out of 2 elderly people have been mistreated in India, said a report. HelpAge India’s latest report ‘How India treats its Elderly’ is a national survey of how elders are treated in the public space. It covers four main areas: actual experiences of the elders as they interact with people and service providers, elder perceptions on elder ill-treatment, the general state of mind of the elders as they step out of their homes and a wish list of elder expectations from society. Bangalore is the highest perpetrator with 70% elders experiencing abuse followed by Hyderabad (60%) Guwahati (59%) Kolkata (52%) and Delhi (23%). Hyderabad, Bangalore, Bhubaneswar & Chennai in most parameters are amongst the top 5 cities who mistreat elders in the public space. While a large percentage of Indian society treats elders well, many elders feel that today’s youngsters are callous and impatient. As many as 53% of the elders says Indian society discriminates against elders. “These proportions provide damning indictment of the Indian society's attitude and behaviour to the elders,” said the report. 10% elders directly point out misbehaviour of public as top most concern in going out of the house and 24% feels vulnerable to cheating and theft in public. There is also good behaviour towards elders in the public space (65%), with 2 in 3 elders being offered seats in public buses. North is most elder friendly in offering seats (85%) regularly in buses to elders. East (37%) and north east (33%) scores low on this. 57% elders say they received special treatment from bank staff and 70% received proper attention from hospitals. On service delivery points, a significant proportion of elders ranging from 11% to 19% have received rude behaviour from the service delivery person. 17% of mall staff behave badly with elders. Elders have received rudeness at the points of commercial transactions such as chemists or vegetable vendors. These incidents are most amongst post office staff (19%) followed closely at public hospitals (12%) and (13%) amongst bank staff. Worst bank staff behaviour towards elderly is reported in Bhubaneshwar (21%), Mumbai (19%) and Chennai (18%). In the case of postal staff, most bad behaviour is reported in South zone ie; 27% with Hyderabad (39%), Chennai (21%) and Bangalore (20%). A significant 16% elders have experienced rude behaviour by bus conductors and drivers, while 12% of the elders have been treated rudely by others in a queue while trying to pay their utility bills such as telephone, electricity etc. The national capital is the highest when it comes to bad behaviour of government hospital staff towards elders(26%) followed by Bangalore (22%.) Higher proportion of elders receive good treatment at private hospitals compared to public hospitals. The findings say that 53% elders feel discriminated against, 61% feel people get impatient with them since they are slow and 52% feel people are ruder to them if they are not well dressed. 53% of elders find the behaviour of motorists and bikers a challenge. In Delhi 45% elders feel unsafe with the behaviour of motorists on the road, but in Bangalore a huge 73% elders feel unsafe . Shillong shows least support to elderly walkers with 10% elders says they have rude experiences from people on road. 39% in eastern zone say they always get help on road. Nationally, 38% fear accident due to negligence of others and to cope with these challenges on the road 42% of elders avoid stepping out as far as possible. In terms of post retirement work ,18% men and 11% women want to work . In over 60% of cases they did not get the job applied for. Compared to other zones,19% more elders in East and 16% in South want to work. 23% in Shillong and 19% in Kolkata of elders are willing to work. This is followed by Bangalore and Delhi with 17% of elder intenders to work. HelpAge is currently running a campaign to ‘Stop Ageism’ across the nation.